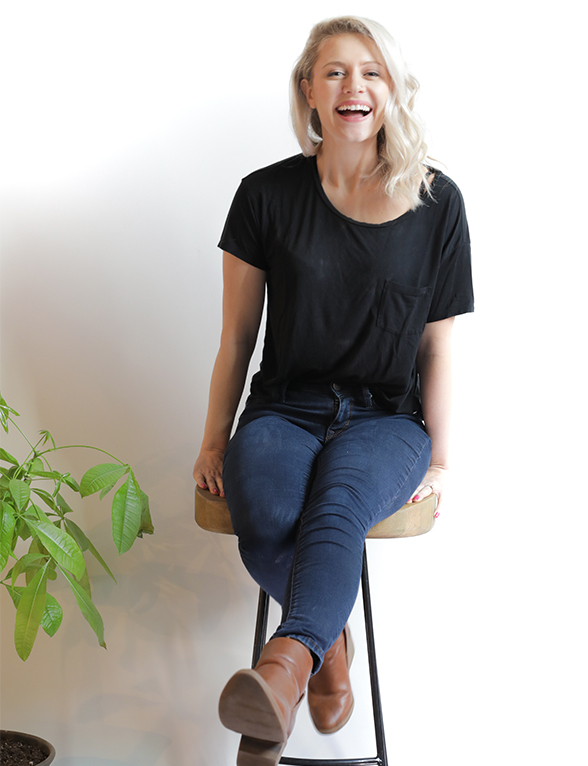 Finding completely dairy free recipes that live up to their dairy counterparts is harder than you'd think. 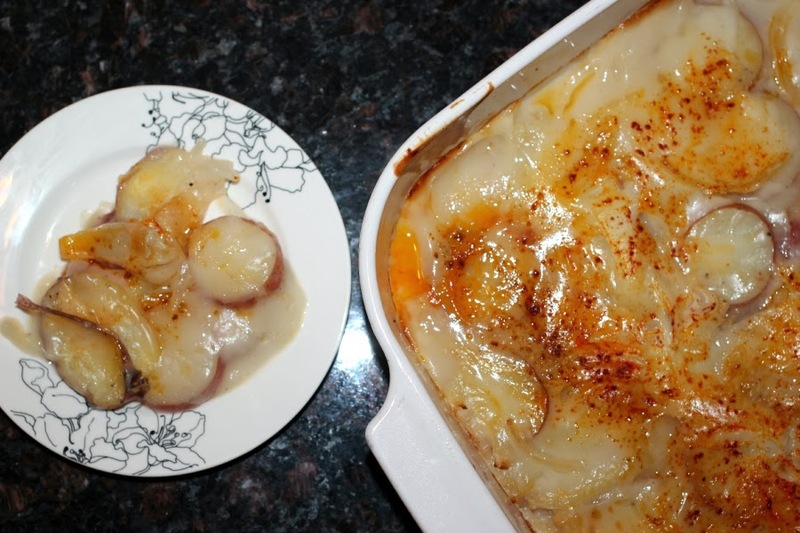 So when I had a hankering for delicious scalloped potatoes, I had to take several recipes and substitute away. But the result was exactly what I was looking for! 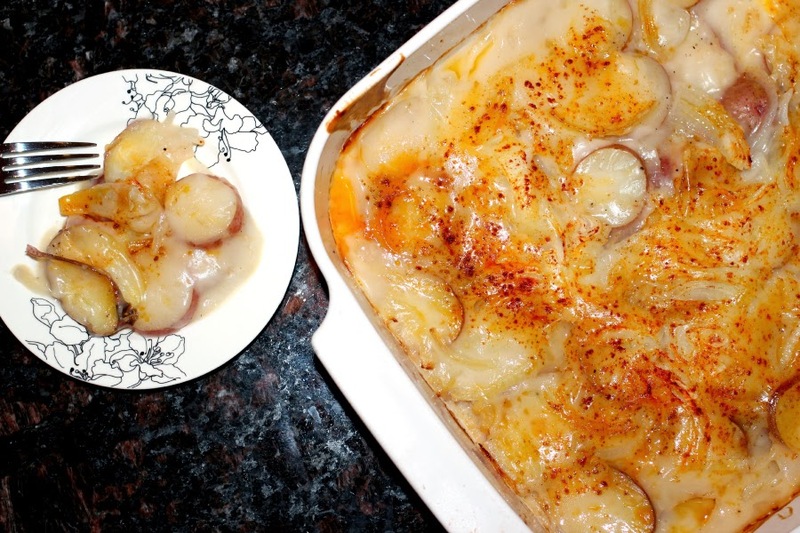 These potatoes turned out creamy and delicious, and it was especially nice knowing exactly what was going into them. Preheat to 350. 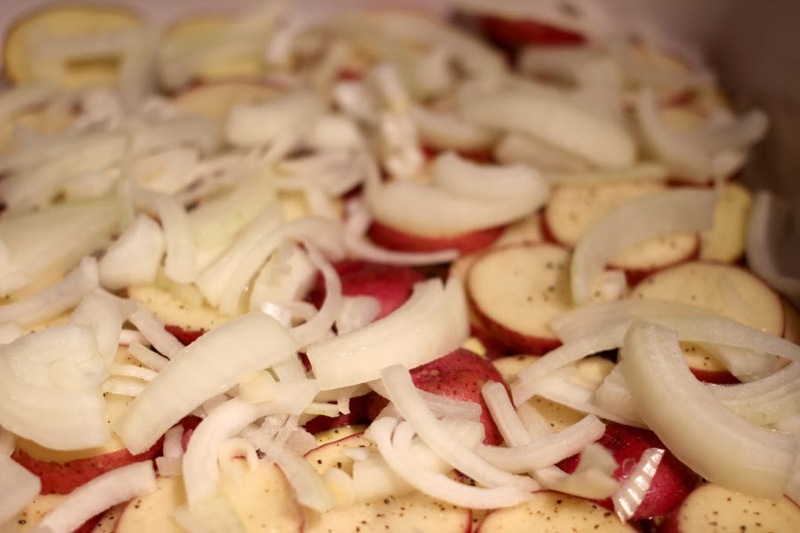 Slice up your potatoes and onions. 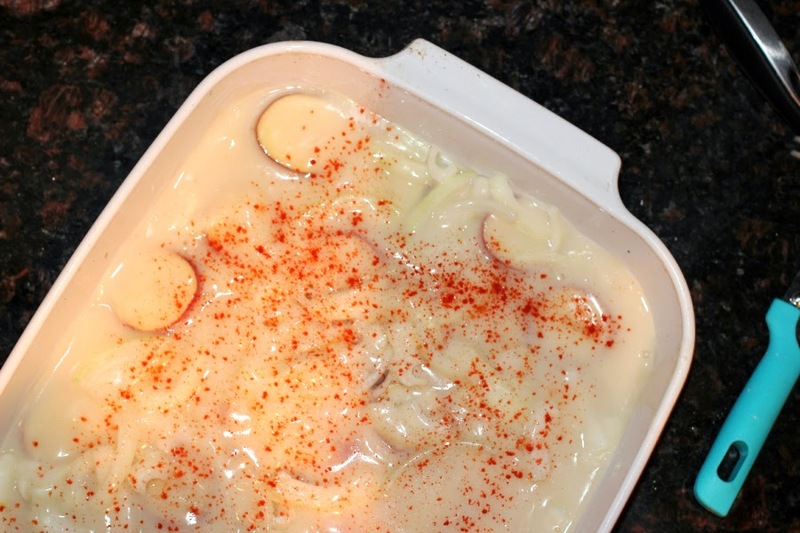 Layer them in a greased baking dish. Sprinkle with salt and pepper. In a sauce pan, melt your coconut oil. Once the coconut oil is melted, whisk in the flour. Follow by adding the chicken stock to the saucepan and whisking. After a few minutes of whisking the sauce will thicken. 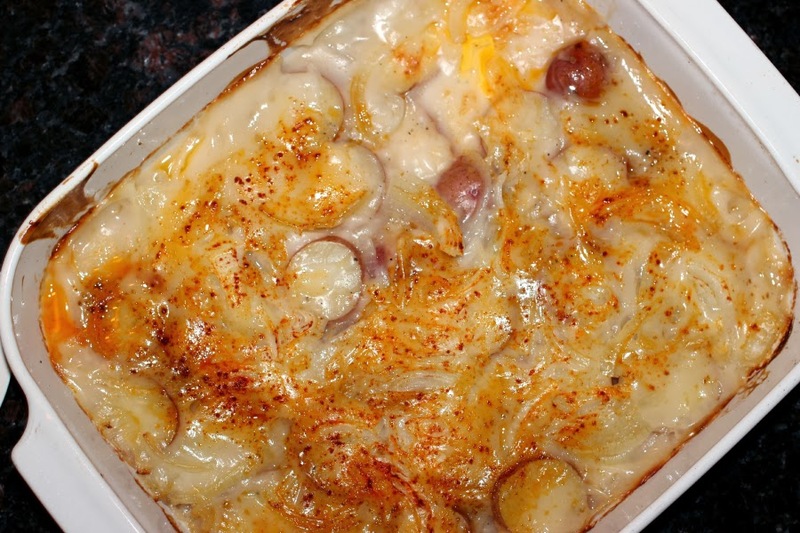 Pour the sauce over the potatoes and sprinkle on paprika. Bake for 50 minutes! These are the BEST substitute for the dairy version. Even if you just want to eat a little bit healthy try this version. 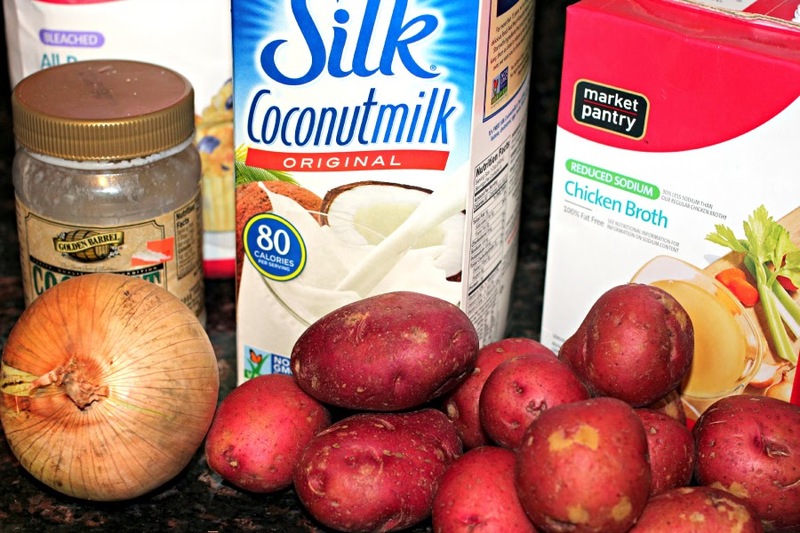 Coconut oil is great for you and if you get the low sodium chicken broth, well you're on your way!